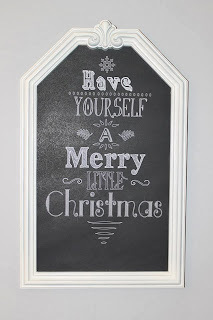 Sometimes I am just lolly gagging around the internet and I run across something that amazes me that someone did with the Chomas Creations tools! 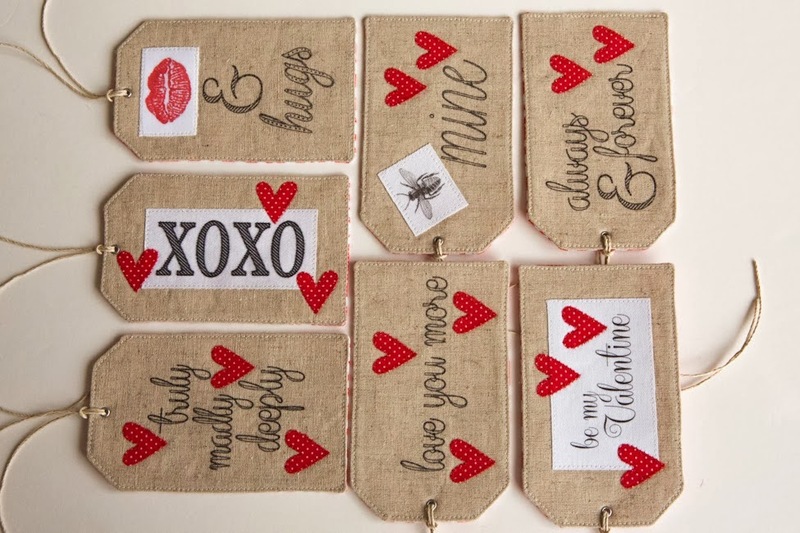 I asked Lauri Springer from the latest from lauri if I could share these awesome Valentine's gift tags with you! She said YES! So here they are! She made the tags from scratch (WOW!!!) and then drew on them with the Chomas Creations adjustable marker holder and a no bleed Sharpie marker. 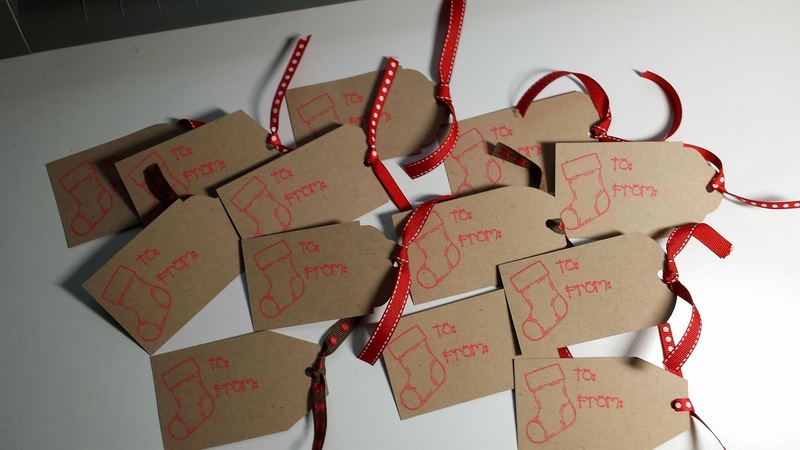 You can also find these tags (if there are any left they are so cute!) 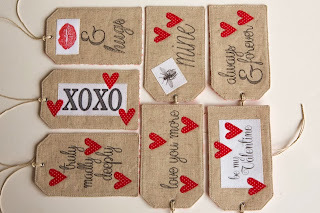 and some other amazing things Lauri has done in her etsy store my creative frenzy! 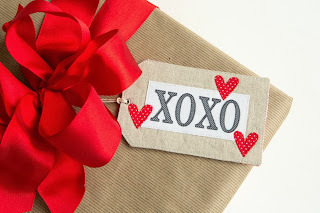 Stop by Lauri's blog the latest from lauri and leave her some love if you have time! Don't forget to use the coupon code winter13 in the Chomas Creations store to save 10% off your order! Young boy birthday cards are a tough one for me! Give me girly, flowery any day and I can make a quick card. But a boy card? Not so quick! 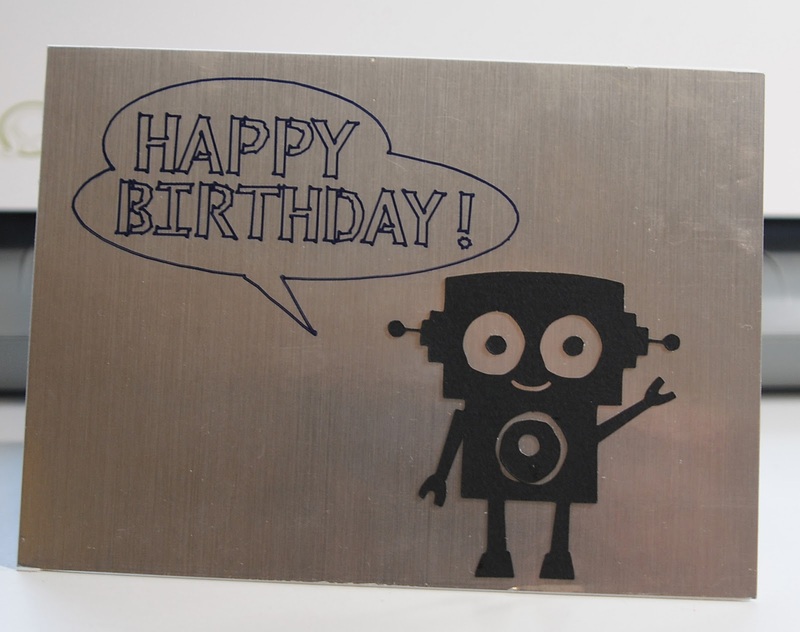 But what could be better for boy then robots and silver and black and dark blue? Well nothing! I found these Sharpie markers that are a fine point on one side and an ultra fine point on the other that fit in the Chomas Creations adjustable marker holder. 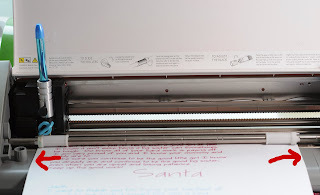 Sharpies work awesome on glossy surfaces like this silver glossy cardstock that I found at Target, 2 pieces for under $1! The sentiment and robot were both Studio store downloads. Want to try out some of these fun ideas? Use the coupon code december13 to save 10% off in the Chomas Creations store. 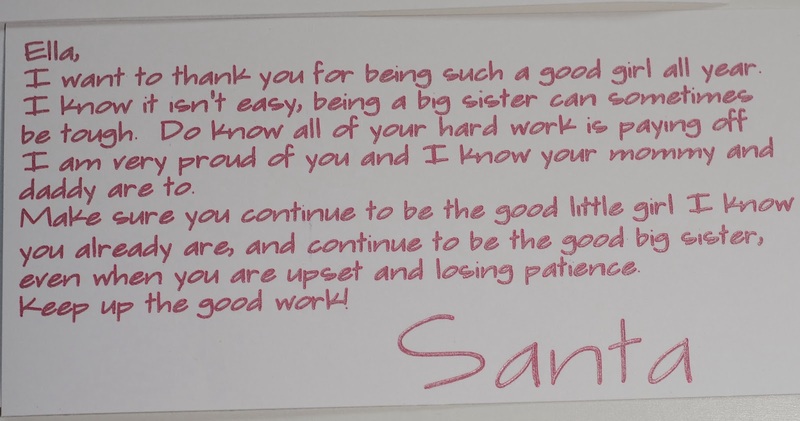 I'm sad to say that my house is getting to the sad age where the kids are starting to doubt Santa. 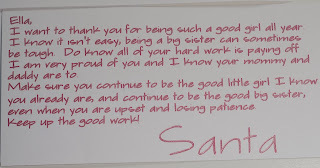 That just makes me so sad =( I'm kicking it up a notch with some letters addressed to my kids from Santa. Of course I couldn't use my own handwriting, and I want them to be handwritten, so bring out the Cameo! 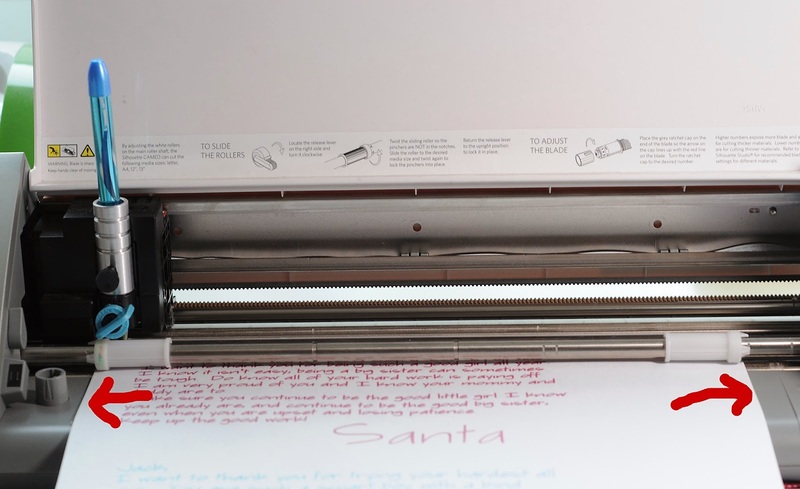 I used the Chomas Creations adjustable holders with gel pens to draw these letters from Santa. But look close, notice anything missing in this picture?? If you noticed my arrows, you may also notice that I'm using NO MAT! 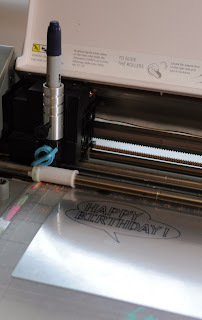 That is because you can add a 12 inch piece of cardstock right in your Silhouette machine without a mat and draw on it! How awesome is that? 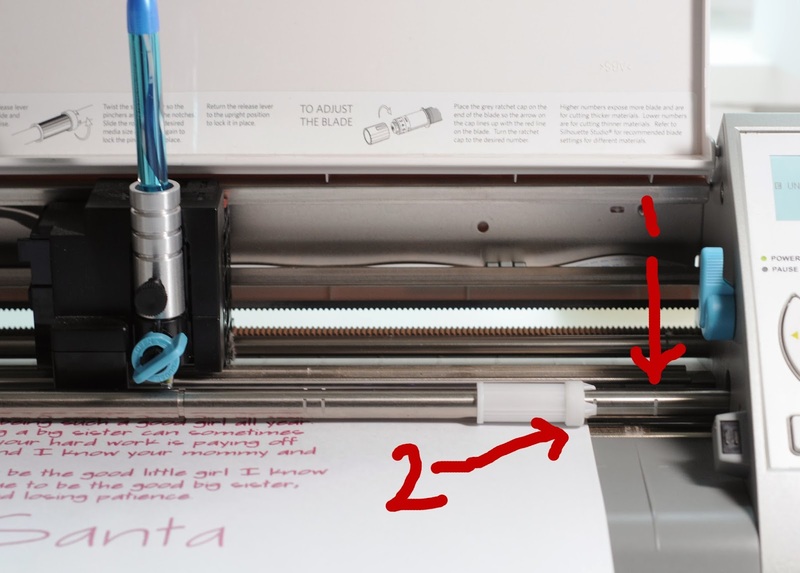 You do have to move your white roller over a notch (your roller is usually where I'm showing the #1, you need to move it to #2) so the paper will fit under the rollers. You also want to use load media instead of load mat so that your writing starts where you see it on the screen in Studio. 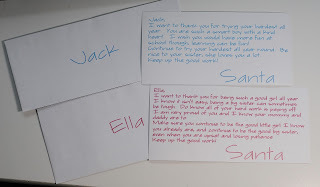 I used the Lettering Delights thin font called Casual to write the letters to my kids. 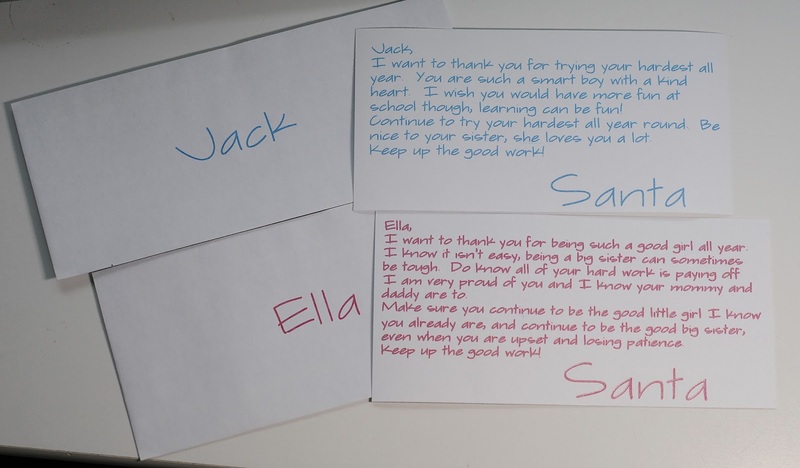 I also loaded the envelopes straight into the Silhouette with no mat to draw their names on the front! Don't they look like they are hand written letters!? 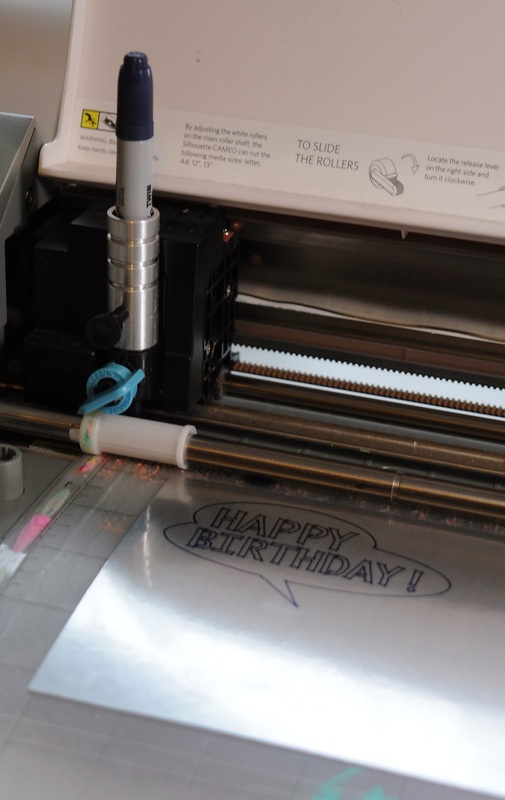 You can't get that from a printer! And these are in metallic gel pens! Want to give it a try? Use the coupon code december13 to save 10% off your purchase in the Chomas Creations store! Labels: Adjustable holders for the Silhouette/Cameo, No mat! I was too excited to share this with everyone! Karla Moore is a part of a facebook group I am in and she gave me permission to share this, and even gave the names of the fonts she used! Have is cupcake block sketch; yourself-Simon script; A - neoretro draw; have- Helena; merry-Archistico; Christmas- Quito and the snowflake - bergamot ornaments. 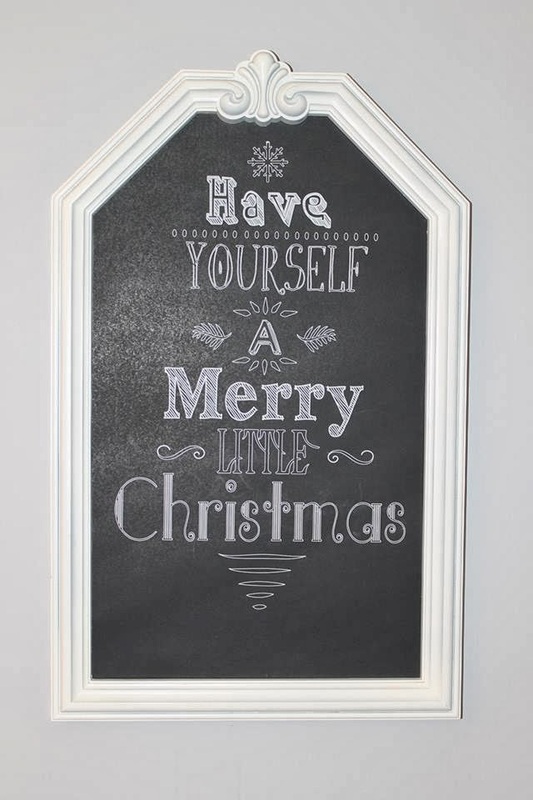 She used the Chomas Creations adjustable pen holder with a Gelly Roll white gel pen on a large piece of black poster board that she trimmed down to fit in this frame. Looks amazing Karla! Thanks so much for letting me share it! Here is just a start of this years tags! I will be doing more in different colored cardstock and may switch the design around! I used the Chomas Creations adjustable pen holder with a Sakura Moonlight gel pen on kraft cardstock. Ready to make some of your own? Use the coupon code december13 to save 10% off your order in the Chomas Creations store!